I hope you are all having a great afternoon , I know I am because i am on vacation for the next days . I would like all of you to know that the Swahili fashion week is going on right now . 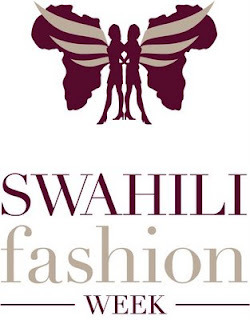 An eclectic mix of Swahili culture ensconced with chic style; Swahili Fashion week is the dawn of a new era. Initiating a dynamic and promising platform for the fashion industry in Tanzania, the Swahili Fashion Week is a coming together of talented designers from across the country under one stand to showcase their unique and truly African creations. This is not only a potential point for existing designers but also an opportune moment for upcoming aspiring designers in the country. What's more? This event be at par with globally acclaimed fashion weeks celebrating the spirit of the Swahili Fashion week truly unveiling what makes Africa beautiful. I am Very excited for this show and cannot wait to see the pics .